We normally ask for a minimum of 48 hours (2 days) advance notice (if payment is by COD). For example, if you need the cake to be delivered on a Friday morning, you would need to place your order on a Wednesday morning (48 hours). However, if you are paying by bank transfers we would appreciate it if you place your order 4 days in advance as transfer of payment takes time due to the banking system. Once you have placed the order kindly also transfer the payment on the very same day you placed the order. In any circumstances, please be assured of our commitment to you that is the cakes are prepared as close as possible to the delivery date in order to retain their quality and freshness. You can place an order either by phone or internet. Once you have placed an order either by phone or by internet, a transaction number will be assigned to your order. We suggest keeping the transaction number for references purposes in case that need arises. For phone orders, kindly call on Mondays to Saturdays (9am-5pm). Sunday and public holidays are rest days. • Anytime : Between 11.00 - 5.00pm. • Between 11.00 - 2.00 pm. What if I want to change or cancel an order after it has been confirmed? Just phone or e-mail us and quote the transaction number of your original order. We'll change or cancel it without any penalty if the cancellation is done not less than 24 hours (1 day) before delivery date. 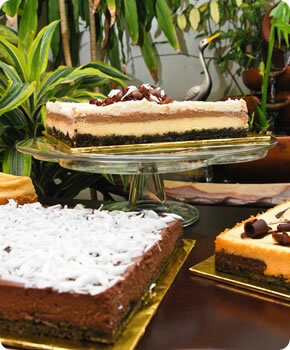 Changes or cancellations less than 24 hour's (1 day) notice would be subjected to a penalty of 50% of the cakes' price. Please bear in mind we only entertain changes or cancellations from Mondays to Saturdays (not Sundays). - Su's reserves the right to decline any orders, should availability of essential ingredients run out or for any unforeseen circumstances. 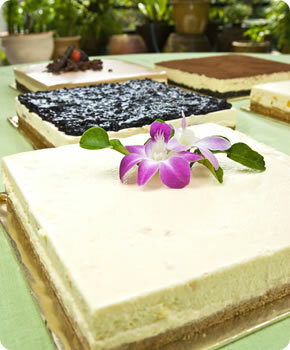 - Su's also reserves the right to use alternative non-essential ingredients for the same reason. Cake photography by Mark Leo Copyright © 2013 Demo Site. All Rights Reserved. Designed by Justsimple.